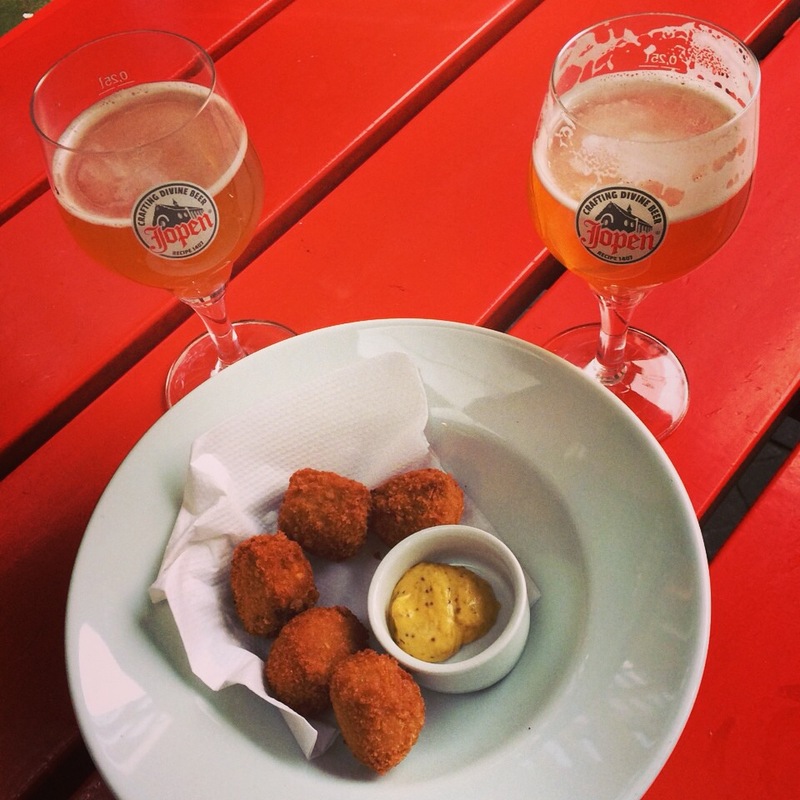 After the epic trip to Hoorn… the day after, Haarlem with the husband was on the menu. Unfortunately, timing wasn’t our strong suit that day and we didn’t end up arriving in Haarlem until nearly 4pm (!) by which time the sun was already beginning its descent, meaning that the light was running out for decent photos and it was also bitterly cold! Brrrr! 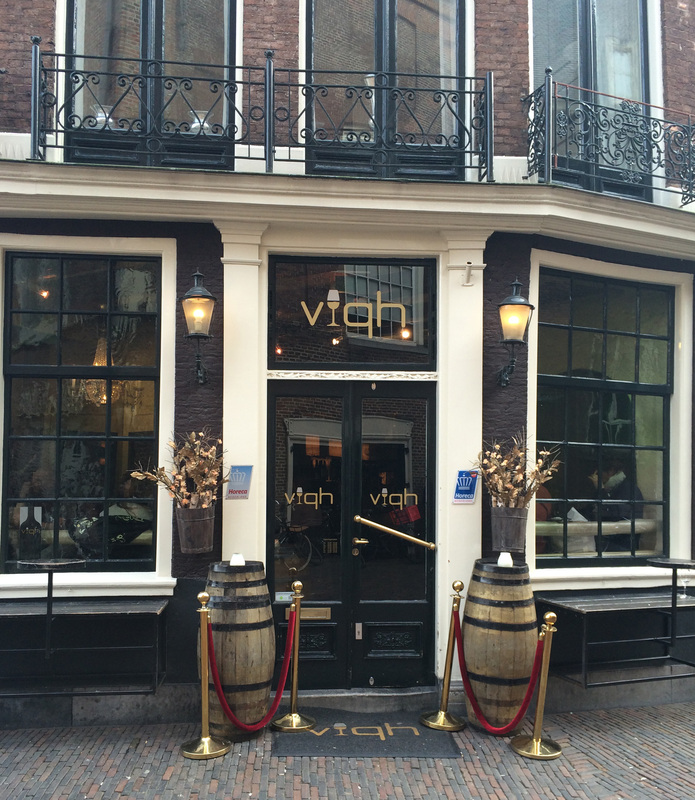 First we arrived at Grote Markt (literally: Big Market) and immediately spotted Viqh (a wine bar) – which Marit Smits had recommended on my Facebook page… so it would be rude not to go and have a cheeky glass of prosecco! It’s a very cute little bar with lots of little nooks and crannies. The tables are wedged in everywhere, so be prepared to get cosy with your neighbours! Next on the agenda was Jamón Jamón (on Inge Mastwijk’s recommendation) for a quick bite to eat. 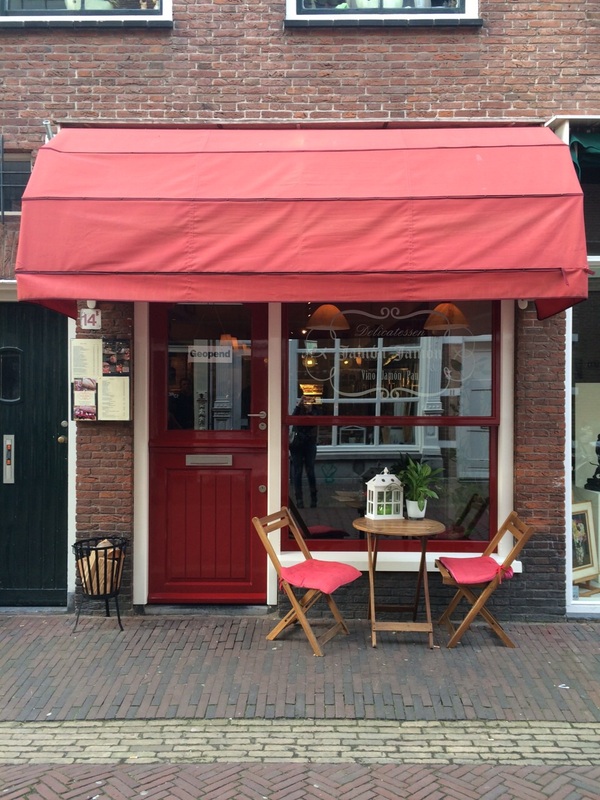 On the same street (Schaghelstraat) is this little beauty. 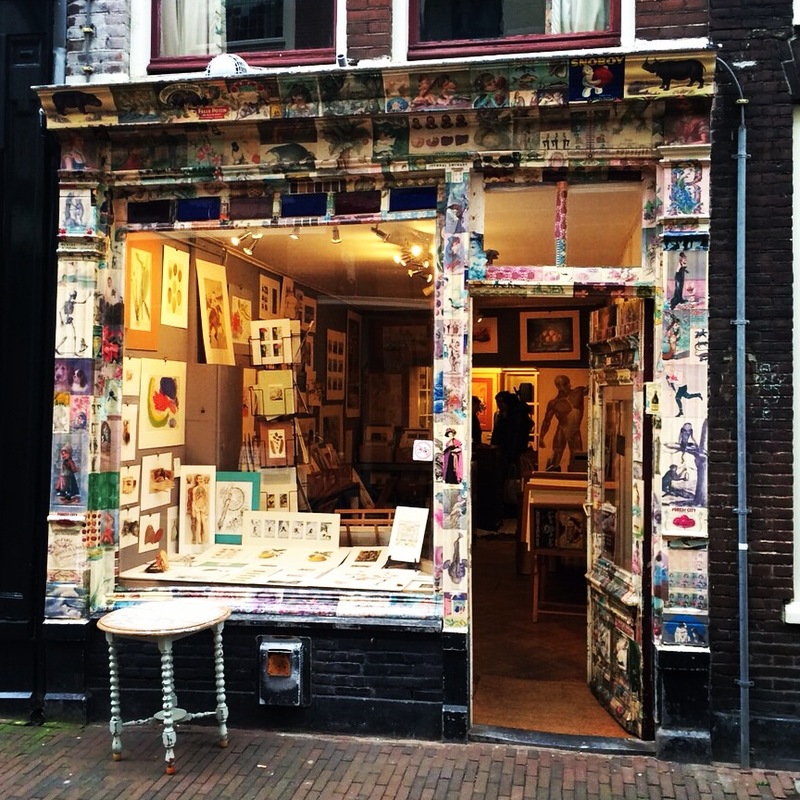 An art shop with one of the coolest shop fronts I’ve seen outside of Brighton! Previously, the building (an old church) was known as Jacobuskerk, but in 2010 it reopened its doors as a brewery, cafe and restaurant. 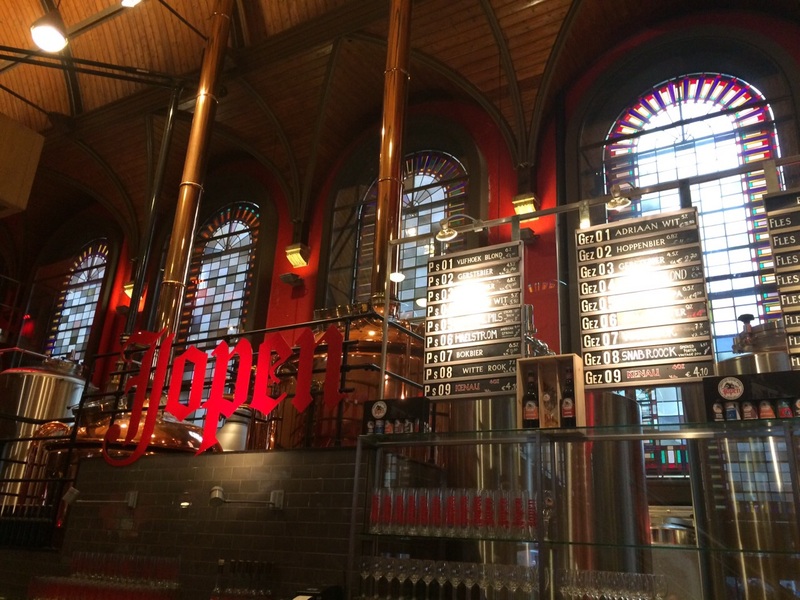 According to their website, in 2013, Jopenkerk won the title Mooiste Bar van Nederland (Best Looking Bar in the Netherlands) and I can totally understand that. It’s goddamn beautiful. It was also goddamn busy… note to self: come on a day other than Saturday! 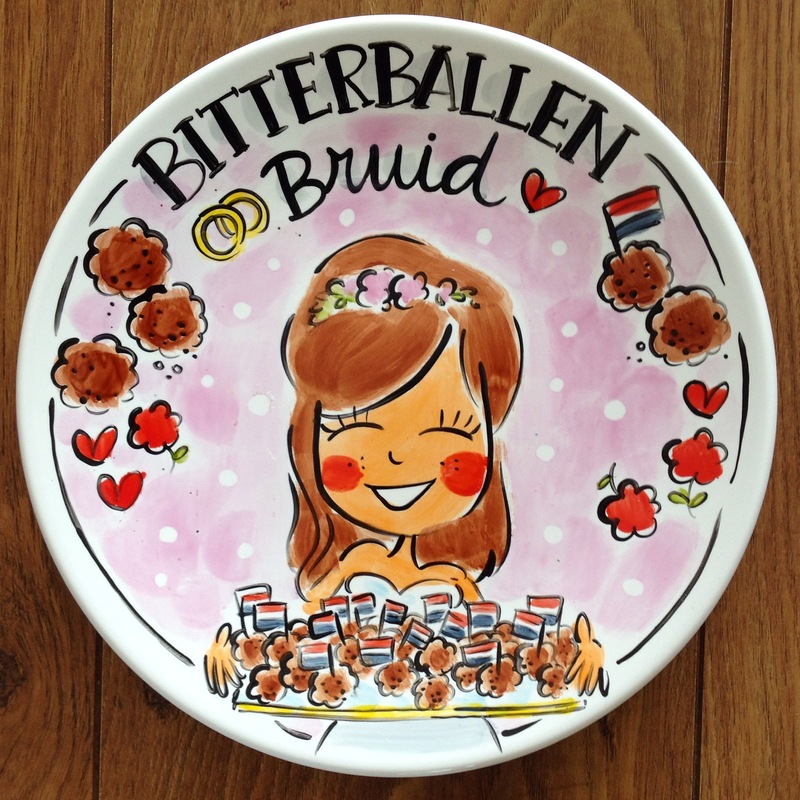 In addition to the wide range of beer, they had BEER bitterballen! Honestly? I couldn’t taste the beer… but that could have been because I was drinking beer, who knows! These get a 7/10 with minus points for the (random) shape, (lack of) mustard and slightly lazy presentation. 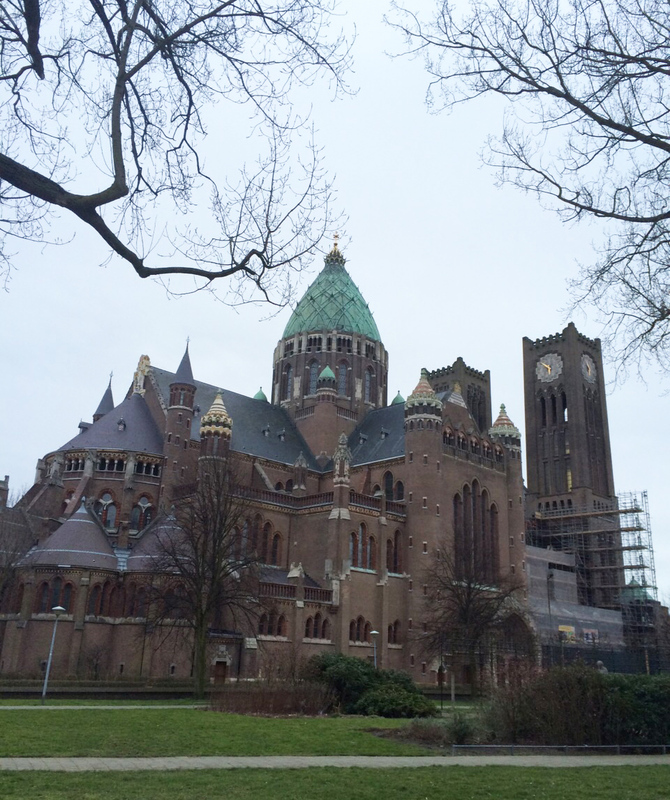 Museums were off the cards because it was already too late in the day, so we took a walk to check out Cathedral of Saint Bavo (thanks Christina Ames for the tip). She sure is a beaut (the cathedral I mean, but I’m sure Christina is too!) and next time I’d love to do the tour! That’s it unfortunately, all we saw of Haarlem! But enough of a taster to want to return! What are you doing this sunny weekend? Living in Haarlem myself I`d warn you to avoid the Jopenkerk on a Friday afternoon as well. Trust me it`s even busier, all the companies near it have their ‘VrijMiBo’ (vrijdag middag borrel) in it 🙂 Actually it`s always packed, only real downside to it. There`s a place called ‘a taste of home’ nearby where you can get English , Irish, Aussie food and drinks etc. and if you do visit the Jopenkerk again there`s nice restaurant on the square as well Woodstone. Thanks for the shout out, Hayley! Funny timing! 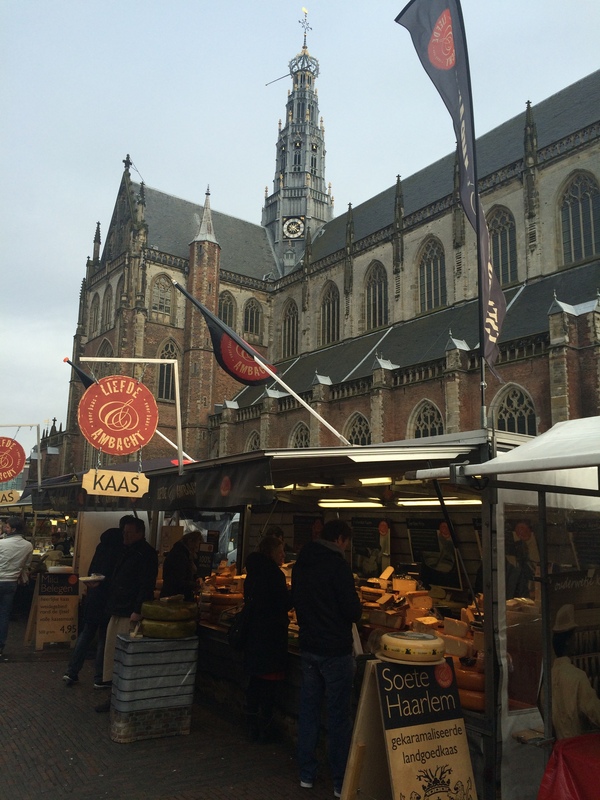 I took my friend Syd to Haarlem this week – we were lucky enough to get sun but also biting winds 😛 Definitely want to make it out on a market day next time!! Don’t forget to visit Het Teylermuseum, next time you visit Haarlem. And there are beautifull hidden ‘hofjes’, where the nons used to live. i think you can take a tour. It’s great that you made the most of whatever time you had in the city – some people would have just thought it’s too late and gone home! 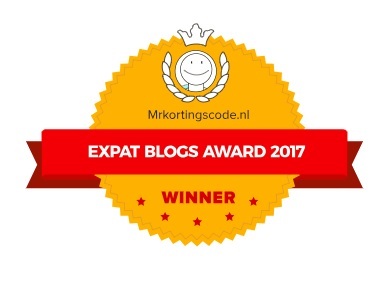 Have you been to Zutphen? Very ancient town with walls to fortify against French invasion still intact. For beautiful pictures you have to go to Keukenhof in april! The Corrie Ten Boom house is there too, well worth the trip. If you have not read The Hiding Place I highly recommend it before visiting! We went a few weekends ago, and it turns out a lot of the bars in Haarlem have free snacks on Sunday afternoons. Random, but very lovely. Random indeed! But good tip – thanks!